Lee Connelly the Blue Peter Gardener is coming to Toby’s Harvest Festival on 15th and 16th September bringing his unique brand of gardening fun and mayhem! Lee’s gardening mission is to bring families and children together outside in the garden, creating memories and enjoying the space they have because he believes that no matter how small your garden we can all be gardeners. 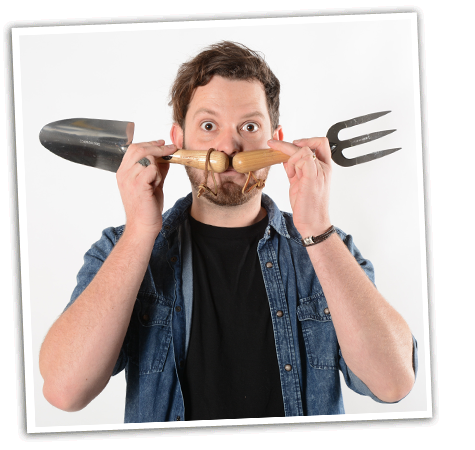 Lee travels across the country with fun family-focused shows packed with gardening makes, tips and games to get the audience involved along with a solid educational twist that follows the schools National Curriculum. Lee – also known as The Skinny Jean Gardener – began his own gardening adventure creating a kitchen garden for TV presenter Jimmy Doherty and quickly becoming a regular on the horticulture scene. He has been the BBC Blue Peter gardener since 2014, guested on BBC Gardeners Question Time, designed gardens in Japan and brought gardening to BBC Radio 1 for the first time. Lee also creates weekly gardening podcasts and continues to inspire families with his twice weekly YouTube uploads. 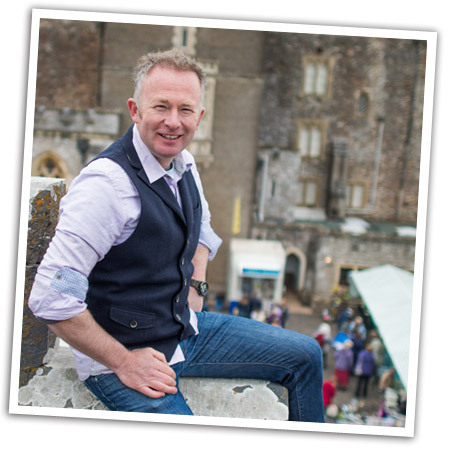 Meet Lee at Forde Abbey on 15th and 16th September at Toby’s Harvest Festival. 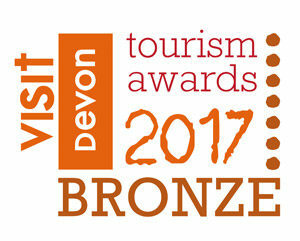 Toby is host of both GardenFest at Powderham Castle and the new Garden & Harvest Festival at Forde Abbey. 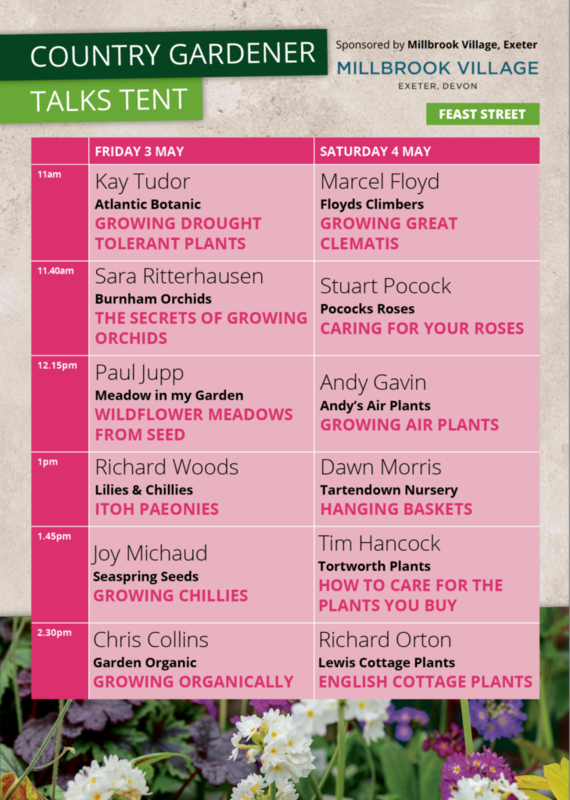 Known for his practical and entertaining approach to gardening, Toby is a trained horticulturist who enjoys explaining the finer points of gardening with the knack of making difficult gardening skills easy to beginners. 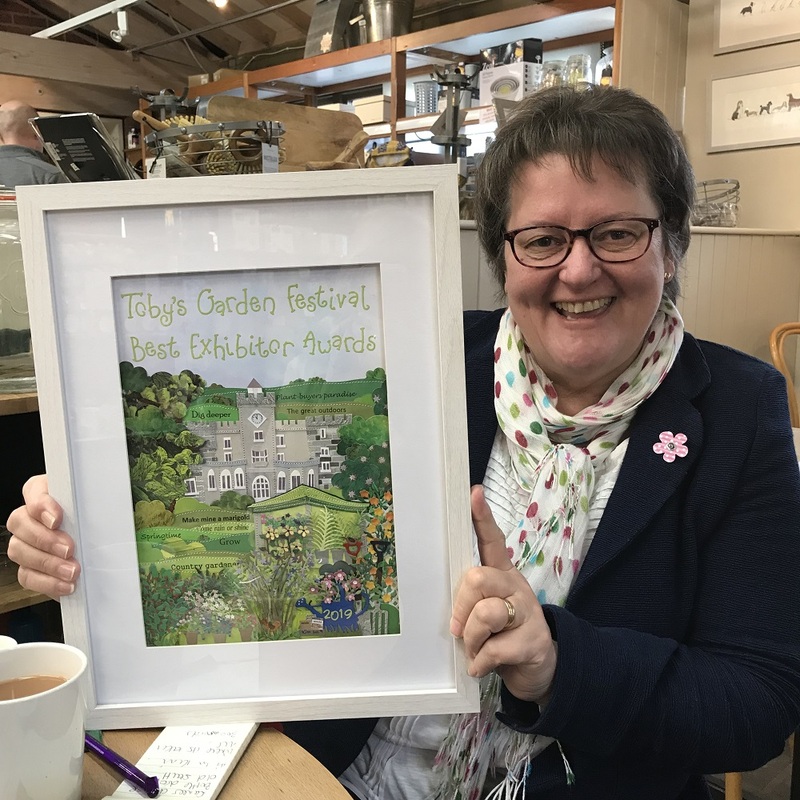 Toby writes weekly for Amateur Gardening magazine, and is a regular columnist for the Times Home Supplement and Telegraph Gardening. 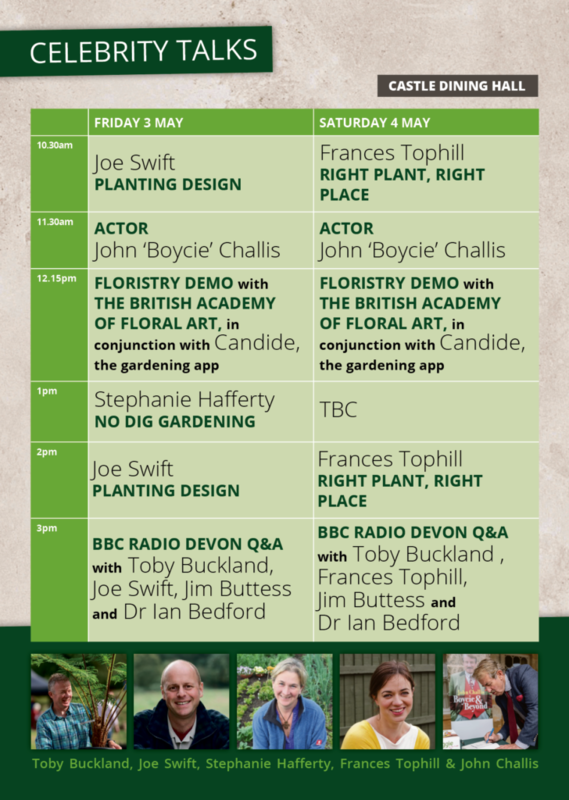 For the past five years he has run a boutique garden centre at Powderham Castle in Devon with his wife Lisa whilst making regular appearances on-screen, including BBC Great Garden Revival and the BBC’s coverage from RHS Chelsea Flower Show. You can hear Toby every Sunday morning presenting BBC Radio Devon’s Sunday show from 9am-midday. Phone in with your gardening questions! 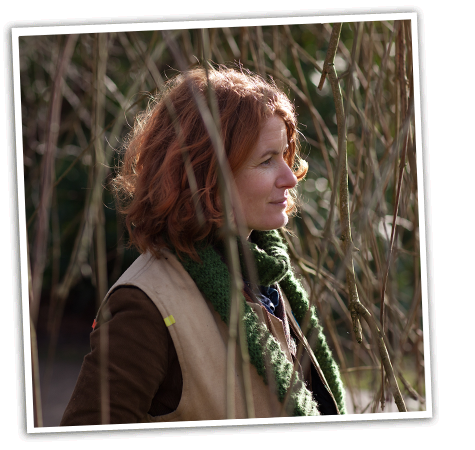 Alys Fowler is a gardener who loves food. She has an allotment and an urban back garden with lots of flowers and plenty of vegetables. 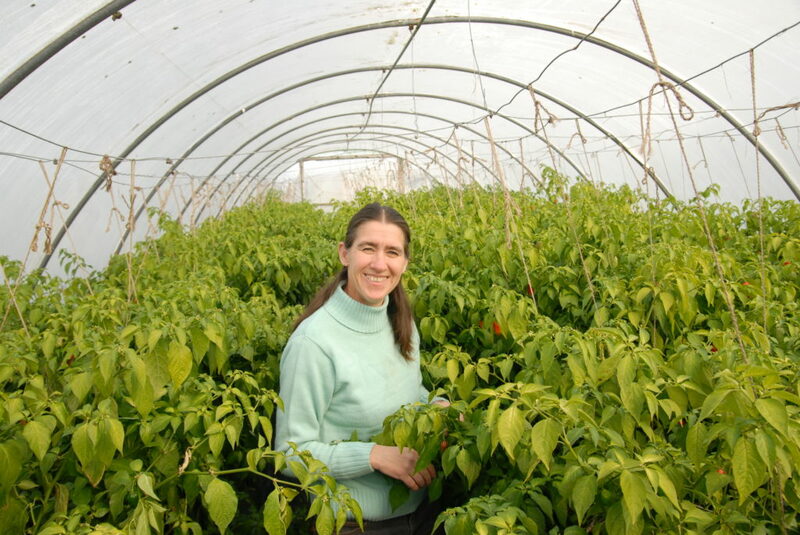 Alys has appeared as a regular presenter on BBC Gardeners’ World and also hosted her own BBC2 series; The Edible Garden, where she explored sustainability in the urban environment of South Birmingham. She is the author of several gardening books including The Thrifty Garden, The Edible Garden and Plant Love, a guide to growing houseplants. 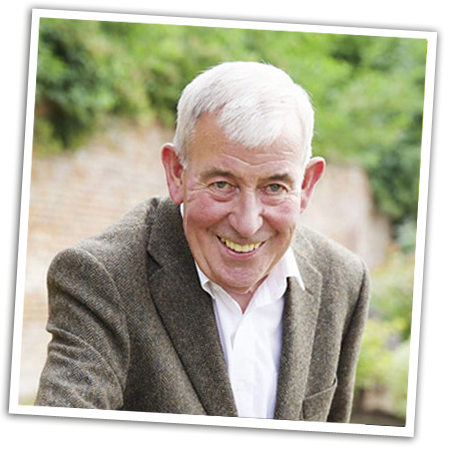 Jim has become synonymous with our garden festivals and he’ll be joining us again at Forde Abbey in autumn 2018. He has won eight gold medals at RHS Chelsea and in recognition of his unrivalled contribution to horticulture, in 2006, he was awarded the highest accolade possible in the gardening world, the Victoria Medal of Honour (VMH). A popular speaker he now devotes much of his time giving talks to audiences ranging from corporate after dinner speaking through to societies and clubs. 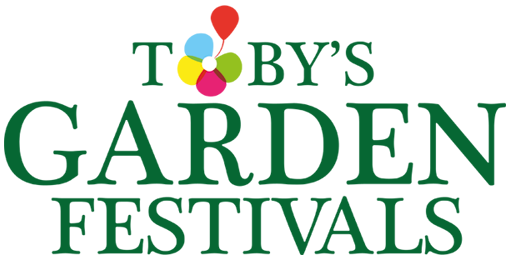 He has never lost touch with grass roots and actively supports schools and local projects in spreading his joy of gardening. 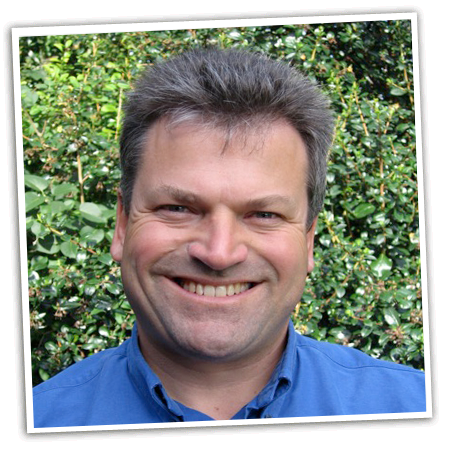 Jim is one of the UK’s leading gardening experts and a busy man on the UK’s horticultural show scene. He was superintendent of the Royal Parks for 25 years and his clients have included Her Majesty the Queen. Jim is also an RHS judge and was judge for the BBC’s The Big Allotment Challenge with Fern Britton. He is author of The People’s Gardener, his autobiography about his life in gardening, published in 2016. Jim is here both days of the Harvest Festival. Matthew is a gardener, writer and regular panellist on BBC Radio 4’s Gardeners Question Time who is fascinated by plants and their stories. His garden is filled with unusual veg, heritage fruit and plants introduced by the great plant-hunters and his latest book, ‘Secrets of Great Botanists and What They Teach us About Gardening’ is published this autumn. Matt will be joining us in Forde Abbey’s Great Hall on Saturday 15th September. 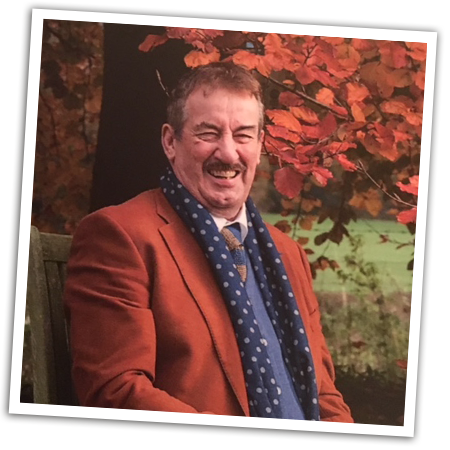 John Challis, the actor best-known for playing Boycie in the BBC’s most successful ever sitcom Only Fools and Horses joins us at Forde Abbey this autumn. John will be sharing how he and wife Carol restored the ancient abbot’s lodging and garden at Wigmore Abbey in Herefordshire. The 800-year old building was the inspiration and location for the Only Fools spin-off The Green Green Grass of Home which sees Boycie and on-screen wife Marlene flee Peckham for a new home after falling out with gangsters. John is back on our screens in 2018 playing Monty, the love interest to Sherrie Hewson’s Joyce Temple-Savage in ITV’s tenth series of Benidorm.